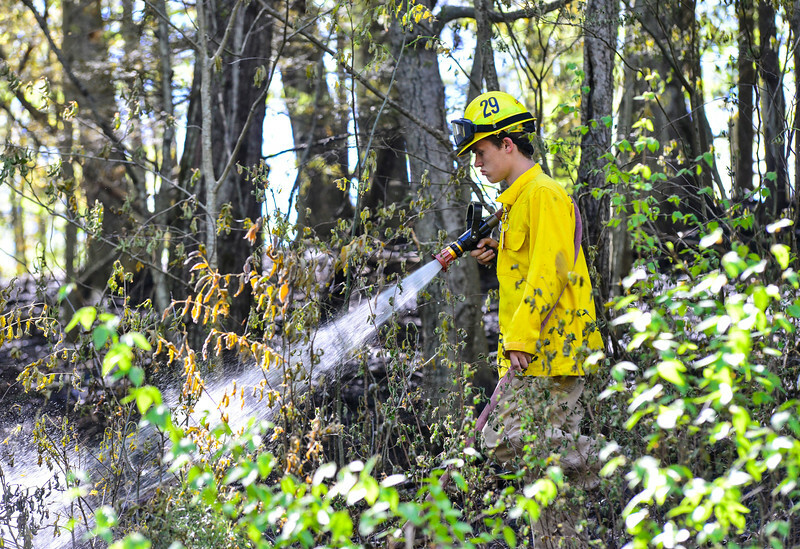 A section of North Shore Road, in Spofford, N.H., is closed while fire crews from Spofford, Westmoreland, and Chesterfield battle a first-alarm brush fire on Friday, May 11, 2018. The fire is believed to be started by a dead tree that fell on a power line. The fire burnt nearly an acre and half of the land.